This series is dedicated to monographs and collected papers which are methodologically dealing with multiple scholarly disciplines. These may include combinations of e.g. (African / Ethiopian) linguistics, ethnological, sociological, political, historical, media, or medical sciences. Edited by: Thomas Hüsken, Alexander Solyga, Dida Badi. With contributions by: Dereje Feyissa, Erdmute Alber, Dida Badi, Kurt Beck, Isaïe Dougnon [show more…], Lamine Doumbia, Birgit Embaló, Anja Fischer, Michael Hauhs, Mario Krämer, Baz Lecocq, Georg Materna, Meron Zeleke, Tilman Musch, Dieter Neubert, Amal S.M. Obeidi, Hanna Lena Reich, Judith Scheele, Mahama Abaliyi Sedike, Petr Skalník, Gerd Spittler, Magnus Treiber. Edited by: Gian Claudio Batic, Rudolf Leger. With a preface by: Rudolf Leger, Gian Claudio Batic. With contributions by: Flavia Aiello, Gian Claudio Batic, Anna Belova, Herrmann Jungraithmayr, Hadidja Konaï [show more…], Mariusz Kraśniewski, Rudolf Leger, Aliyu Mu’azu, Nina Pawlak, Stanislaw Piłaszewicz, Olga Stolbova, Maddalena Toscano, Henry Tourneux, Rainer Voßen, Georg Ziegelmeyer. Author: Marjolijn Aalders Grool. Photographs by: Henri Aalders, Marjolijn Aalders Grool. Author: Sebastian Prothmann. With a preface by: Jørgen Carling. Author: Carsta Schnabel. With a preface by: Kai S. Cortina. Author: Sebastian Wenz. With a preface by: Kurt Beck. Author: Christiane Falge. With a preface by: Thomas Zitelmann. Edited by: Mustafa Abdalla, Denise Dias Barros, Marina Berthet. 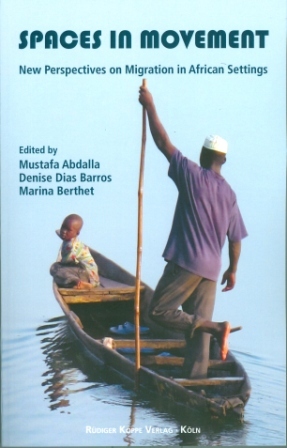 With contributions by: Mustafa Abdalla, Sophie Bava, Abdoul Hadi Pingréwaoga Béma Savadogo, Marina Berthet, Pierre Cissé [show more…], Denise Dias Barros, Augustin Emane, Gunvor Jónsson, Senni Jyrkiäinen, Bréhima Kassibo, Magnus Treiber, Christian Ungruhe. Edited by: Anne Storch, Johannes Harnischfeger †, Rudolf Leger. With an introduction by: Johannes Harnischfeger †, Rudolf Leger, Anne Storch. With contributions by: Jörg Adelberger, Jules Jacques Coly, Norbert Cyffer, Johannes Harnischfeger †, Herrmann Jungraithmayr [show more…], Ulrich Kleinewillinghöfer, Rudolf Leger, Anne Storch, Georg Ziegelmeyer. Edited by: Winfried Speitkamp, Stephanie Zehnle. With an introduction by: Winfried Speitkamp, Stephanie Zehnle. With contributions by: Florian Kerschbaumer, Manuela Kirberg, Ulrike Kirchberger, Luregn Lenggenhager, Christina May [show more…], Johann Reißer, Felix Schürmann, Sandra Swart, Stephanie Zehnle. Edited by: Angelika Mietzner, Ulrike Claudi. With contributions by: Suzan Alamin, Torben Andersen, Gratien G. Atindogbé, Ulrike Claudi, Gerrit J. Dimmendaal [show more…], Klaudia Dombrowsky-Hahn, Martina Ernszt, Axel Fleisch, Roland Kießling, Angelika Mietzner, Wilhelm J.G. Möhlig, Nico Nassenstein, Helma Pasch, Doris Richter gen. Kemmermann, Gertrud Schneider-Blum. Edited by: Eva Rothmaler, Rémi Tchokothe, Henry Tourneux. With an introduction by: Eva Rothmaler, Rémi Tchokothe. With contributions by: Mahamat Adam, Boureima Amadou, Claude Arditi, Zakaria Beine, Baba Mai Bello [show more…], Abdoulaye Boubakary, Gundula Essig, Elisa Fiorio, Émilie Guitard, Hadiza Kiari Fougou, Hadidja Konaï, Tilman Musch, Eckhard Nagel, Eva Rothmaler, Paulette Roulon-Doko, Henry Tourneux. Edited by: Aderemi Suleiman Ajala. With an introduction by: Aderemi Suleiman Ajala. With contributions by: Aderemi Suleiman Ajala, Akeem Ayofe Akinwale, Emmanuel Osewe Akuboh, Shina Alimi, Tunde Decker [show more…], Moses Metumara Duruji, Peter-Jazzy Ezeh, Olumuyiwa Olusesan Familusi, Christine Fricke, Adediran Daniel Ikuomola, Mufutau Temitayo Lamidi, Chukwuemeka Eze Malachy, Garba Mohammed, David Omeiza Moveh, Sat Obiyan, Samuel Oluwole Ogundele, Adetunji Ojo Ogunyemi, Ikechukwu Bernard Okafor, Rasidi Akanji Okunola, Azeez Olusola Olaniyan, Seun Olutayo, Siyan Oyeweso, Ibrahim Umara. Edited by: Gabriele Sommer, Clarissa Vierke. With contributions by: Maud Devos, Anne-Maria Fehn, Luanga A. Kasanga, Roland Kießling, Britta Neumann [show more…], Doreen Schröter, Gabriele Sommer, Daniël Van Olmen, Clarissa Vierke. Edited by: Doris Löhr, Eva Rothmaler, Georg Ziegelmeyer. With an introduction by: Doris Löhr, Eva Rothmaler, Georg Ziegelmeyer. With contributions by: Ari Awagana, Dmitry Bondarev, Shettima Umara Bulakarima, Muhammad Fannami, Graham Furniss [show more…], Ludwig Gerhardt, Philip J. Jaggar, Angelika Jakobi, Doris Löhr, Eva Rothmaler, Russell G. Schuh †, Bosoma Sheriff, Abba Isa Tijani, H. Ekkehard Wolff, Georg Ziegelmeyer. Edited by: Georg Klute, Birgit Embaló. With an introduction by: Georg Klute, Birgit Embaló. With contributions by: Alice Bellagamba, Bakary Camara, Isaïe Dougnon, Birgit Embaló, Idrissa Embaló [show more…], Joshua B. Forrest, Cecil Magbaily Fyle, Caterina Gomes Viegas, Mamadú Jao, Christiane Kayser, Reinhart Kößler, Fodé Abulai Mané, Paulina Mendes, Raul Mendes Fernandes, Maria Paula Meneses, Dieter Neubert, Abderrahmane Ngaïde, Stephen Okhonmina, Petr Skalník, Abdoul Aziz Sow, Jordi Tomás, Trutz von Trotha †. Edited by: Christina Thornell, Karsten Legère. With contributions by: Assibi Apatewon Amidu, Dorothee Beermann, Carol Benson, Beban Sammy Chumbow, Øyvind Dahl [show more…], Niklas Edenmyr, Riikka Halme, Arvi Hurskainen, Helene Fatima Idris, Karsten Legère, Daniel J. Mkude, Robert Munganda, Carl E. Olivestam, Christina Thornell, Valentin Vydrine, Åsa Wedin, Alexander Zheltov. Edited by: Georg Ziegelmeyer, Norbert Cyffer. With an introduction by: Georg Ziegelmeyer, Norbert Cyffer. With contributions by: Ari Awagana, Juliane Besters-Dilger, Dmitry Bondarev, Raymond Boyd, Norbert Cyffer [show more…], Andrew Haruna, Philip J. Jaggar, Lars Johanson, Maarten Kossmann, Doris Löhr, H. Ekkehard Wolff, Georg Ziegelmeyer, Petr Zima. Edited by: Wilhelm J.G. Möhlig, Olaf Bubenzer, Gunter Menz. With an introduction by: Wilhelm J.G. Möhlig. With contributions by: Helga Besler, Andreas Bolten, Olaf Bubenzer, Frank Darius, Ute Dieckmann [show more…], Frank Förster, Stan Hendrickx, Friederike Jesse, Reinhard Klein-Arendt, Eileen Kose, Gunter Menz, Wilhelm J.G. Möhlig, Julia Pauli, Jochen Richters, Heiko Riemer, Frank Seidel, Marc Seifert. Edited by: Thomas Bearth, Jasmina Bonato, Karin Geitlinger, Lorenza Coray-Dapretto, Wilhelm J.G. Möhlig [show more…], Thomas Olver. With contributions by: Eric Adja, François A. Adopo, Said Babura Ahmad, Akintunde Akinyemi, Akosua Anyidoho [show more…], Elena Bertoncini-Zúbková †, Ruth M. Besha †, Jan Blommaert, Sandra Bornand, Blasius Chiatoh, Alilou Cissé, Béatrice Coffen, Getie Gelaye, Elisabeth Gfeller, Christine Glanz, Peter Gottschligg, Nelli V. Gromova, Andrew Haruna, Daniel Franck Idiata, Abdoul-Aziz Issa Daouda, Frank Jablonka, Kapele Kapanga, Russell H. Kaschula, Yared M. Kihore, Daniel J. Mkude, Fatimata Mounkaila, Michel Naumann, Josué Ndamba, Stephen M. Neke, Jacques Nicole, Colette Noyau, Yolande Nzang-Bie, Jean-Michel Nzikou, Samuel Oluwole Ogundele, Richard Samin, Pascal Singy, Soundjock-Soundjock, Maurice Tadadjeu, Noura Tigziri, Antoinette Tijani Alou, Inyang Udofot, Kwesi Yankah, Petr Zima. Edited by: Joachim Crass, Ronny Meyer. With contributions by: Binyam Sisay Mendisu, Joachim Crass, Ronny Meyer, Ongaye Oda, Christian J. Rapold [show more…], Sascha Völlmin, Silvia Zaugg-Coretti. Edited by: Norbert Cyffer, Georg Ziegelmeyer. With a preface by: Georg Ziegelmeyer, Norbert Cyffer. With contributions by: Ari Awagana, Rotimi Badejo, Sergio Baldi, Norbert Cyffer, Abubakar Umar Girei [show more…], Doris Löhr, Valentin Vydrine, Georg Ziegelmeyer. Edited by: David Knaute, Sacha Kagan. With a preface by: Louis Michel, Elizabeth Paula Napeyok. With contributions by: Wario R. Adano, Hubert Beckmann, Mario Cisternino, Mark Dwyer, Sylvain Froidevaux [show more…], Jesús Garzón Heydt, Jeanne Gradé, Sandra Gray, Jorge Guerra González, Itsuhiro Hazama, Kirill Istomin, Sacha Kagan, David Knaute, Ben Knighton, Ilse Köhler-Rollefson, Karl Lakolak, James Lemukol, Thomas Loquang, Evelyn Mathias, Nene Mburu, Sally Ollech, Liv Pedersen, Marion Rolle, P. van Damme, R.B. Weladji, Wolde Wendessen Gulelat, Lena Wäbs. Edited by: Alice Bellagamba, Georg Klute. With contributions by: Alice Bellagamba, Luca Ciabarri, Mirjam de Bruijn, Stephen Ellis, John G. Galaty [show more…], Luca Jourdan, Helene Maria Kyed, Paul Nugent, Petr Skalník, Pierluigi Valsecchi. With an epilogue by: Stephen Ellis. Edited by: Holger Tröbs, Eva Rothmaler, Kerstin Winkelmann. With an introduction by: Holger Tröbs. With contributions by: Oumarou Boukari, Pascal Boyeldieu, Gudrun Miehe, Brigitte Nédellec, Pierre Nougayrol [show more…], Loïc-Michel Perrin, Eva Rothmaler, Paulette Roulon-Doko, Guillaume Segerer, Holger Tröbs, Kerstin Winkelmann. Author: Louis Henri Seukwa. Translated by: Catherine Schwerin. Edited by: Lorenza Coray-Dapretto. With a preface by: Evelyne Hanquardt-Turner. With contributions by: Beena Anand, Lorenza Coray-Dapretto, Lalita Jagtiani-Naumann, Michel Naumann, Joana Passos [show more…], Borislava Sasic, Sujay Sood, Lay Tshiala. Edited by: Günther Schlee. With contributions by: Jean Boutrais, Wei-Hsian Chi, Youssouf Diallo, Boris Nieswand, Michaela Pelican [show more…], Jens Rabbe. Edited by: Michael Albrecht, Veit Arlt, Barbara Müller, Jürg Schneider. With contributions by: Elizabeth Edwards, Richard Fardon, Barbara Frey Näf, Christraud Geary, Erin Haney [show more…], Anton Holzer, Paul Jenkins, Thoralf Klein, Marisol Palma. Edited by: Rose Marie Beck, Frank Wittmann. With contributions by: Eric Adja, Uwe Afemann, Jules Bagalwa-Mapatano, Rose Marie Beck, Sandra Bornand [show more…], Verena Böll, Christine Glanz, Werner Graebner, Nana Grey-Johnson, Adolphe Sanon, Jürg Schneider, Wisdom J. Tettey, André-Jean Tudesq, Tobias Wendl, Frank Wittmann.